Thank you for deciding to make a recurring gift to JVC Northwest! 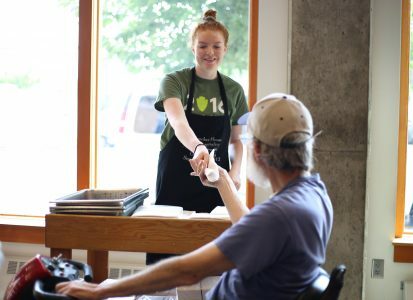 With your support, our Jesuit Volunteers and Jesuit Volunteer EnCorps members are providing value-centered service across the Pacific Northwest to promote justice for those living on the margins of society and to support a reverent and sustainable relationship with the earth. Your monthly contribution must be at least $5.